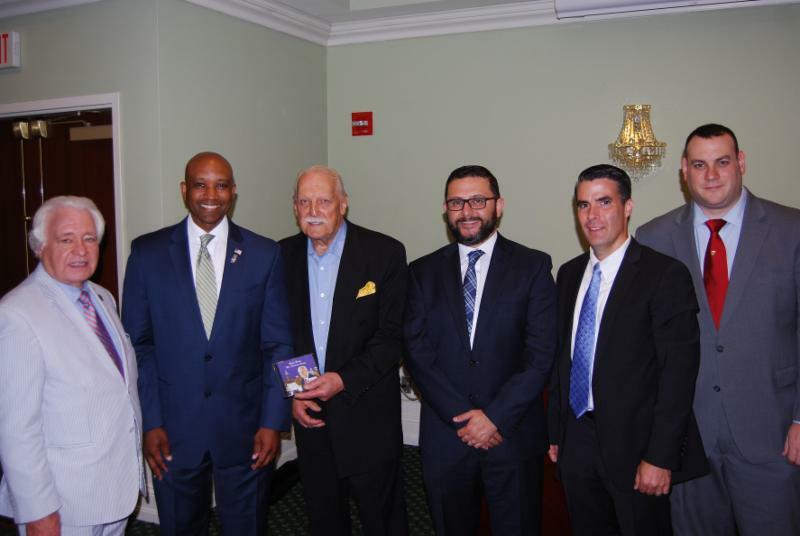 On Friday, September 7th, LIMBA hosted a breakfast forum with Suffolk County Sheriff Errol Toulon, which was co-sponsored by Twomey Latham. Partners Reza Ebrahimi, Bryan Van Cott and Patrick Fife, and Senior Associate Craig Handler attended the event. Sheriff Toulon discussed his background in law enforcement, handling the prison population and Governor Cuomo’s “Raise the Age” program. One of his goals as Sheriff is to reach out to as many children in the County as possible so that he can help address issues like drugs, gangs, crime and bullying, which will prevent our youth from embarking on a life of crime. Twomey Latham regularly works with the Sheriff’s Office on behalf of its clients, as the Sheriff’s Civil Enforcement Bureau is the enforcement arm of the civil courts, and it handles property executions, income executions, warrants of eviction and orders of seizure.